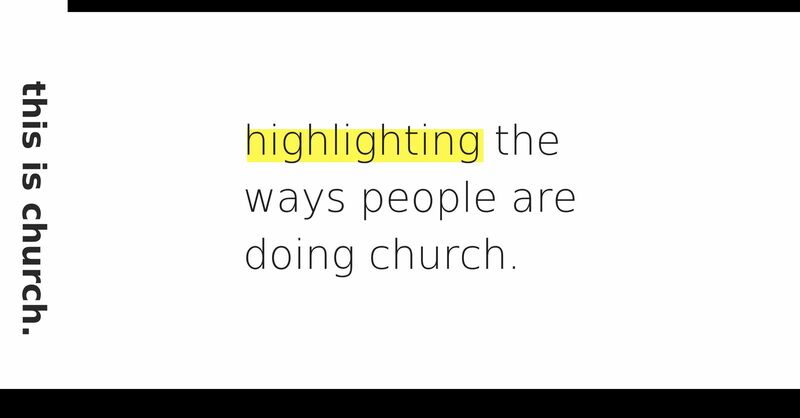 Highlighting the ways people are doing church. Over the past several months and years, many of us have wrestled with discouragement, disappointment, division, and even distraction within church. It's got many of us asking the question, "what is church anyways?". As a community, we want to highlight what church is all about and the ways people are living that out in its many forms. "THIS IS CHURCH." is a new blog post series that we want to fill with your stories, songs, testimonies, and visions of what church looks like. Have a story you can share (about you or someone else)? Send us an email at ThisIsChurch@covlife.org to share your short 2-4 minute smartphone video or written story of how you've seen church lived out here. It doesn't need to be perfect by any means -- we'll all be encouraged to simply see you and hear how you've seen church lived out. this is church. the poem. Steph Palmer opens up about her journey with pain, yet the continuous redemption she's found in Jesus and in community. Margaret was suffering through a lot of physical pain, which caused her daily grief. She had no faith, but after healing and clear message from God, Margaret is now an active leader in the church. The Hartmans, through their care group, found encouragement to live out their faith as a family. Little by little, their conscious effort has turned into something that will significantly help the needy. Sharon relied on herself until the day where she hit rock bottom, asking questions she could not answer herself: about purpose, self-worth, and hard work. Ricardo trusted his own criteria. He had rebelled against the religion he grew up with, but was he so wrong? Through loss and confusion, he realized he only needed on thing in his life, and not without much evidence. Romeo knew religion, but his heart still felt empty. Where was his son going to every Sunday? His curiousity brought him to an uncomfortable place, but God pierced through the hard exterior, causing great change in Romeo's life. "But at the same time...I wasn't sure if my sins [were] forgiven." Delmy wasn't really drawn to church, yet she felt like she needed redemption. Through her son's conversion, she found herself making the best decision of her life, which brought the peace she had been looking for. If [God] can save me and change me, he can change you.